Are you puzzled with the idea of delighting your dearest brothers on this Raksha Bandhan? 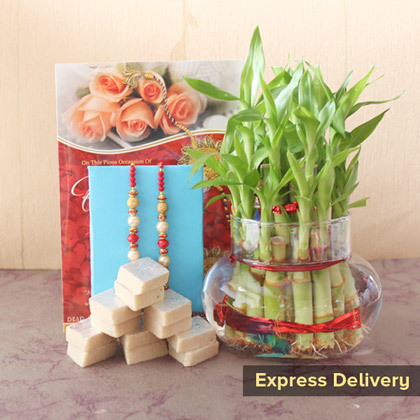 Well then here we are offering you this superb Rakhi gift choice that will be delighting your dearest brothers with sweets, make them feel loved and cared with a greeting card and lucky bamboo plant. 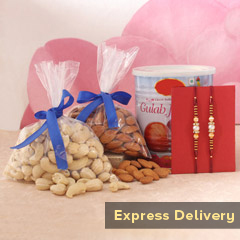 Also, your brothers will love the Rakhi of this gift hamper.